Turquoise waters, lush tropical gardens, and the people you love most gathered around you—this is how wedded bliss begins. Three stunning oceanfront venues, each with their own unique style of luxury, offer everything you need to create a destination wedding perfectly tailored to your vision. Baha Mar is a picture perfect place for couples to create memories together—from beautiful Caribbean honeymoons tailored to your every desire, to unforgettable babymoons designed for fun and relaxation. A once in a lifetime occasion deserves a one-of-a-kind celebration.  Baha Mar is the place to bring friends and family together to mark the special moments of your life with amazing cuisine, incredible nightlife, and endless ways for people of all ages to have fun in the sun.